One of the fun things about reviewing wines is being able to try new ones. I have my favorites, the bottles I always try to buy when I’m out, but I always make a point to find wines and varieties that I haven’t tried to, as they say, “expand my palate.” I research what I can beforehand, but like most people, it’s often just an educated guess. That’s the story behind their Cabernet Sauvignon, Educated Guess. 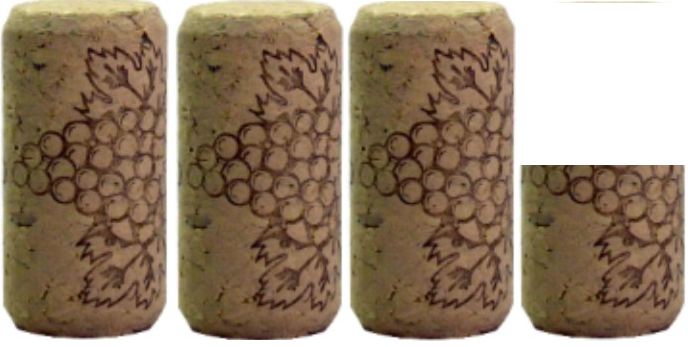 This is a wine you have probably seen in stores, or on restaurant wine lists. If you haven’t picked up a bottle yet, give it a try because it’s a classic Napa Valley Cab, at a very good price. The Roots Run Deep philosophy is that great wines can be affordable, and compete with wines in the $50 to $100 dollar range. This one routinely gets 90 points or higher from critics! What was interesting to me about this wine was the nose: I don’t usually smell honeysuckle in a Cabernet, but this one has honeysuckle, cinnamon, and dark cherry aromas! The taste is more traditional: black cherry and blackberry, some vanilla, and a surprisingly long peppery finish. You can pick this one up for under $20, but it drinks like a much more expensive Napa red. 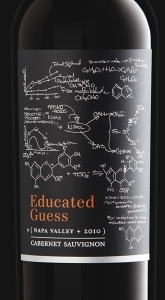 On my five-cork scale based on taste and value, I give the 2013 Educated Guess Cabernet 3.5 corks! It’s a solid wine at a good price, and available everywhere. If you’d like to try interesting wines like this, please join me at our next private wine party coming soon! Every month I host a three-course wine dinner, featuring delicious wines expertly paired with small plate meals prepared by a master chef. There are always cool prizes to win, too. Listen Wednesdays at 4:15 for more details!